Pelicoin ATMs offer a safe, simple, and secure cryptocurrency buying experience. Step into the store on Franklin Ave. and purchase bitcoin, litecoin, or ethereum today! Pelicoin ATMs provide a safe and secure transaction point for those interested in buying cryptocurrency. Pelicoin is Louisiana's largest cryptocurrency ATM network with ATMs across the entire Gulf South region. Customers are able to purchase Bitcoin (BTC), Litecoin (LTC), and Ethereum (ETH) at every Pelicoin ATM location. This New Orleans Bitcoin ATM is located in the Quicky's convenience store on Franklin Ave. just few blocks north of St. Claude Ave.
Bitcoin, Litecoin, and Ethereum are the most widely used cryptocurrencies in the world. Even if you haven't bought crypto during its early boom, there is still tremendous value in owning alternative currencies. Fortunately, buying digital currency is easier than ever thanks to Pelicoin's far-reaching selection of cryptocurrency ATMs. Pelicoin offers secure transactions and easy solutions for first-time and experienced investors who buy Litecoin, Ethereum, or Bitcoin in Louisiana. Even if you're concerned about the potentially volatile price of cryptocurrency, you do not want to miss out on the massive wealth to be gained in this market. Although some people buy cryptocurrency simply as an investment, the popular currencies are gaining more and more practical applications. Bitcoin has become a widely accepted currency as online retailers and other establishments adopt the technology. 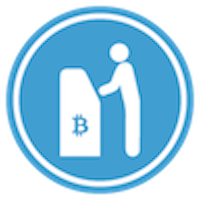 Pelicoin ATMs can be used just like any normal ATM to purchase Bitcoin, Litecoin, and Ethereum in a safe environment.